New updates on the Talk Talk tribute project! 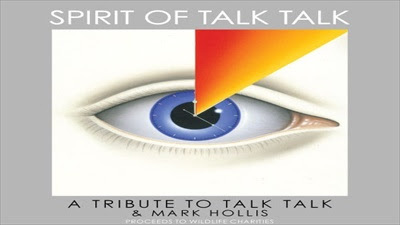 "The Spirit of Talk Talk" will be the name of this pompous new project which will mark Talk Talk's 30th anniversary. It will feature 30 artists and acts and personalities including King Creosote, Alan Wilder, Jason Lytle, Zero 7, Crispin Hunt, Linton Kwesi Johnson, White Belt Yellow Tag, Electric Soft Parade, Joan As Policewoman, White Lies, Goldheart Assembly and many, many more guesting cats from Bon Iver to Arcade Fire covering 30 Talk Talk tunes from 'Today' to ‘Life’s What You Make It’ to ‘After The Flood’ in their own inimitable style. The album is slated for release on September 3rd, 2012 on double CD and download and as part of the whole tribute-themed narrative arc the record will be accompanied by a lavish book, also called 'Spirit Of Talk Talk' which features eulogies from, among others, the smitten likes of Guy Garvey, Richard Wright (Pink Floyd), Karl Hyde (Underworld), Wild Beasts and James Lavelle from UNKLE. The artwork for both artefacts is by original Talk Talk illustrator James Marsh and the book features all manner of Mark Hollis-related delights for music lovers old and new alike to swoon over such as lost photos and handwritten lyric sheets.